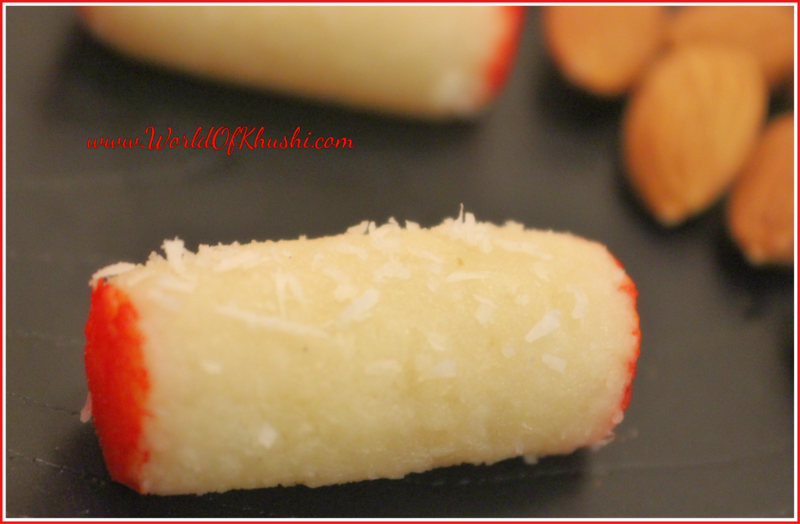 I love to make lots of recipes on Diwali, but sometimes it gets tiring, these times I like to make very easy recipes which doesn't involve cooking.😊 If you are following Khushi's World from long time then you must have known that I love Instant Recipes. 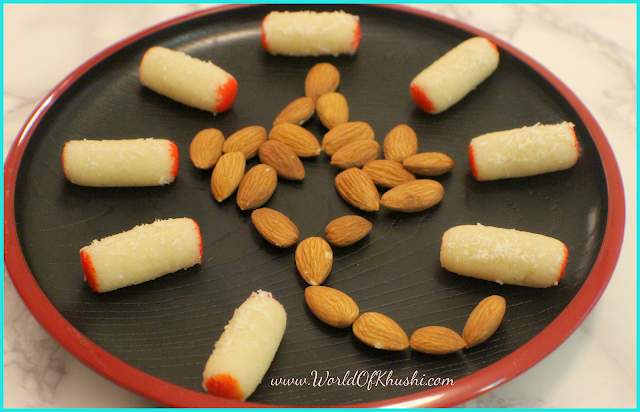 In today's post I am sharing another delicious recipe which takes less time in making and tastes great, we are going to make Instant Almond Rolls. Let's see the method!!! Step 1. 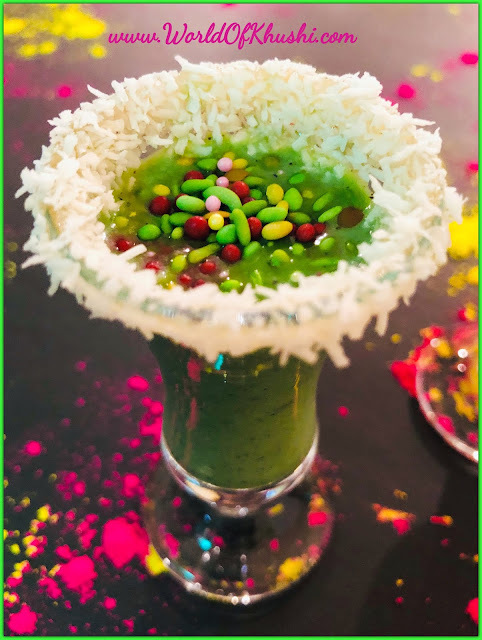 Take a bowl and mix Coconut Powder, Almond Powder and Cardamom. Step 3. Once you get the desired consistency, make small-small balls. Step 4. Roll them in your palms and give all the Rolls the same size and shape. Step 5. Place all the Almond Rolls in a plate and leave it for 5 mins to settle down. Step 6. Take Orange Food Color and add Water to get proper consistency, neither too watery nor too thick. Step 7. With the help of finger, apply this Color on both the ends of Almond Rolls. Before serving coat the almond rolls with the Coconut Powder. 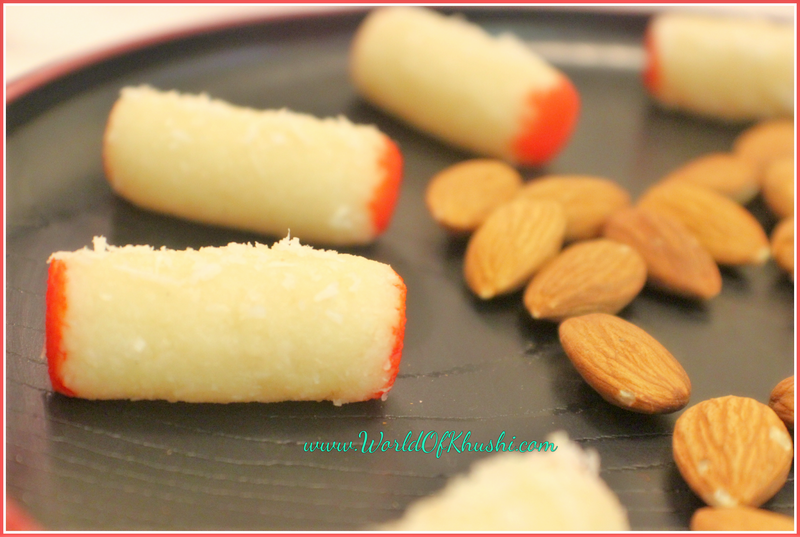 Your tasty and delicious Instant Almond Rolls are ready to serve. Note :- We have not added Sugar but if you like more sweetness you can use powdered sugar. I hope you and your family will love this Recipe, it does not even take 15 mins to make and there is no cooking involved. Definitely give this recipe a try and share your feedback with me, if you try this then please share those pictures with us. For more such Recipes stay tuned with Khushi's World and keep sharing and liking our posts. We need all your Love!! Follow me on Khushi's World Facebook Page, Google+ , Instagram and Pinterest for more Posts.I will see you in next post till then take care.